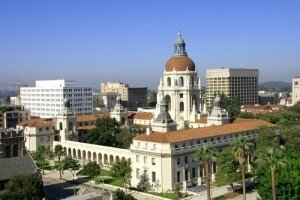 Monarch Air Group provides private air charter in Pasadena, CA. Our clients benefit from top-notch service, unrelenting dedication to safety, wide selection of aircraft, and years of experience in chartering private jets. To obtain a free quote, please use our online quoting tool provided below, or call toll free 1-877-281-3051. Monarch Air Group provides private jet charter flights in and out of Pasadena, California, USA. Pasadena is a city in Los Angeles County. The total area of the city is 23.1 square miles and the population is approximately 137,122 people, making it the 180th-largest city in the USA. Pasadena is well known for hosting Tournament of Roses Parade and the annual Rose Bowl football game. It is also home to numerous scientific and cultural institutions, such as the California Institute of Technology, the Jet Propulsion Laboratory, Fuller Theological Seminary, Pasadena City College (PCC), Art Center College of Design, and some others. The most notable points of interest include Norton Simon Museum, Old Pasadena, The Gamble House, Kidspace Children’s Museum, Gold Class Cinema, Pacific Asia Museum, Eaton Canyon, Colorado Boulevard, and much more. The nearest airports are Bob Hope Airport (BUR / KBUR), which is located 16 miles from the city, Los Angeles International Airport (LAX / KLAX), which is located 28 miles from Pasadena, LA/Ontario International Airport (ONT / KONT), which is situated 37 miles from the city, and John Wayne Airport (SNA / KSNA), which is situated 54 miles from Pasadena. 15. JBP, Commerce Bus. Plaza, Los Angeles, United States. 16. JDY, Heliport, Downey, United States. 17. JGX, Heliport, Glendale, United States. 18. JID, City Of Industry H/P, Los Angeles, United States. 19. JLX, Union Station H/P, Los Angeles, United States. 20. JNP, Heliport, Newport Beach, United States. 1. The Langham Huntington Hotel & Spa Pasadena Los Angeles, 1401 South Oak Knoll Avenue, Pasadena. 2. Pinnacle Pet Hotel and Day Care, 721 Fair Oaks Avenue, South Pasadena. 3. Vagabond Inn Executive Pasadena Hotel, 1203 East Colorado Boulevard, Pasadena. 4. The Langham Huntington Hotel & Spa Pasadena Los Angeles, 1401 South Oak Knoll Avenue, Pasadena. 5. Saga Motor Hotel, 1633 East Colorado Boulevard, Pasadena. 6. Pinnacle Pet Hotel and Day Care, 721 Fair Oaks Avenue, South Pasadena. 7. Vagabond Inn Executive Pasadena Hotel, 1203 East Colorado Boulevard, Pasadena. 8. The Langham Huntington Hotel & Spa Pasadena Los Angeles, 1401 South Oak Knoll Avenue, Pasadena. 9. Saga Motor Hotel, 1633 East Colorado Boulevard, Pasadena. 10. Vagabond Inn Executive Pasadena Hotel, 1203 East Colorado Boulevard, Pasadena.